If you want to know the most scenic train rides in Switzerland, the best fjords in Norway, or the most underrated seaport in Italy, Rick Steves is your guide. 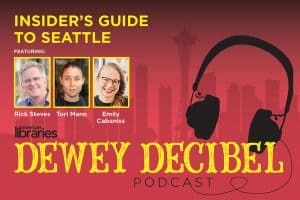 The writer, television host, and activist has dedicated his life to designing the European travel experience for Americans, and his small company has grown into a content empire of books, podcasts, and tours. Steves will appear as an Auditorium Speaker at the American Library Association’s 2019 Midwinter Meeting in Seattle on January 27 to talk about the third edition of his book, Travel as a Political Act (Hachette Book Group, 2018). 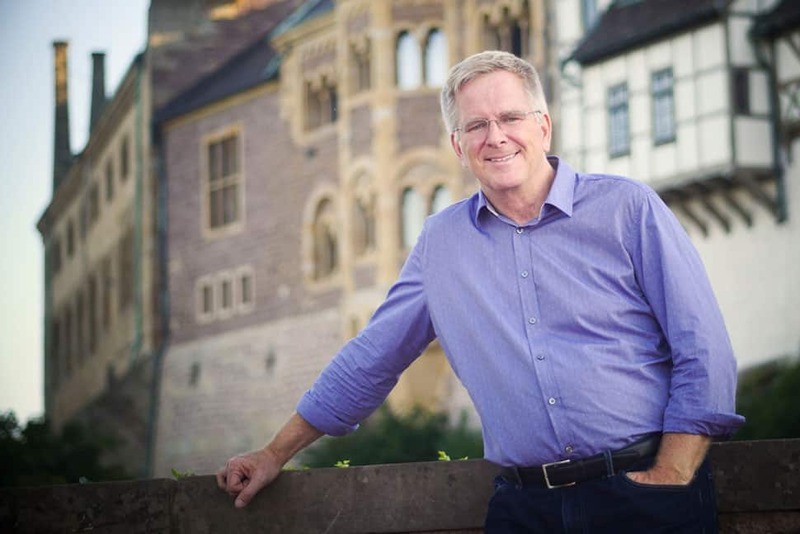 This month he releases Rick Steves Classroom Europe, a searchable resource of video clips that he hopes librarians and teachers will incorporate into their information arsenal. What events precipitated—and what is it about our current political climate—that inspired you to write a third edition of your book, Travel as a Political Act? I’ve always been passionate about teaching travel. I’ve been doing it ever since I was a kid, back in the 1970s and 1980s. In the beginning, it was just basic: How do you catch the train, how do you pack light, how do you get a good hotel on a budget? Then in the 1990s, it occurred to me that people know how to catch the train. They need to know how to appreciate what they traveled to see—history, art, culture, and cuisine—so I wrote a book called Europe 101. Then since 9/11, it occurs to me that the pinnacle of Maslow’s Hierarchy of Travel Needs, as I like to call it, is traveling in a way that gets you out of your comfort zone and helps you gain a broader perspective, [so I wrote Travel as a Political Act]. Travel should be transformational. My experiences in Europe, Central America, Cuba, the Holy Land, India, Iran, Morocco, and Turkey added up to what I thought was a very interesting lifetime on the road. And with today’s politics, with all of these threats to democracy, with populism and this fear, with refugees and what’s going on in the United States, I thought I needed to make a new edition. Counteracting fear with empathy and understanding seems to be a big theme in your work. How might someone who doesn’t have much travel experience do more to connect with people and immerse themselves in a culture more readily? The flipside of fear is understanding. We gain understanding when we travel. It really is clear to me that fear is for people who don’t get out very much. And part of my mission is to inspire Americans to venture beyond Orlando. How do you connect with cultures away from home? That really is a matter of how many people you’re going to meet. Not the lady who meets you at the airport in a dirndl, but real people who aren’t in the tourist trade. That’s what carbonates the experience. One good way to connect with the culture is to become a temporary local. I like to think of myself as a cultural chameleon. I never make myself a pot of tea here in the United States, but when I’m in England, a spot of tea really feels good. When I’m in the Czech Republic, I’ll have a nice pilsner. When I’m in Tuscany, I’m going to have a full-bodied glass of red wine. When I’m in Seattle, I never go home and feel like a cloudy glass of ouzo, but when I’m on a Greek island and the sun is setting, I need a glass to cap that beautiful day. Prison reform and drug policy are two issues you often address in your writing and on your show. Do fans ever ask how this activism intersects with travel? If so, what do you tell them? Some people wish I would just keep it simple. They say: “Stop injecting your politics in the travel.” I disagree. I find that you learn more about your country by leaving it, in a lot of cases. You see other societies that are dealing with the same challenges, and you realize we can compare notes. We all have personal interests when we travel—some people are Rotary Club members, some people are bird-watching enthusiasts, some people are really into cuisine. I’m interested in drug policy reform and the mass incarceration problem we have in our country, and a lot of my ideas about that are inspired by people with similar interests that I’ve met in Europe. My European friends remind me, “You Americans lock up 10 times as many people as we do per capita. Either you’re an inherently more criminal people or there’s something screwy about your laws.” And I really believe there’s something screwy about our laws. With a world viewpoint to add to the conversation, I come home and share those ideas. I find in the United States, we’re really into moralizing and legislating morality. In Europe, they’re into pragmatic harm reduction. It’s good citizenship if I can come home and challenge us to do better. Over the years, you’ve recommended many beautiful, historic, and culturally significant libraries across Europe to your viewers and readers. Do you have any favorites or ones that stick out in your mind? I’m inspired by the European social sensibility: People are taxed and society builds beautiful libraries. They believe in public wealth. 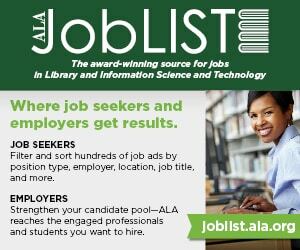 It doesn’t mean they’re less capitalistic; it means that they believe there are some things they can do and should do collectively, and so libraries are a priority. I particularly like the libraries in Amsterdam and Copenhagen, which really are welcoming people centers. Of course, there are historic libraries. You’ve got the British Library, which has all the literary treasures of Western civilization collected in one room. If you get a chance to go to the venerable universities of England—Cambridge and Oxford—there’s so much Old World gravitas and inspirational literature in their collections. At Trinity College in Dublin, you can find the library with the Book of Kells, with some of the most precious art from the early Middle Ages. I’m particularly excited by elegant, baroque libraries—beautiful art, wonderful architecture, and precious shelves of books that people go to visit as almost a pilgrimage. You can find that at the great abbeys on the Danube River. In Prague, there’s the Strahov Monastery Library. There’s an amazing library in Vienna at the Hofburg Palace. And one of my favorite sites anywhere in the world is in Ephesus, on the west coast of Turkey. They have an amazing library there, reminding us that libraries were important even in ancient times. 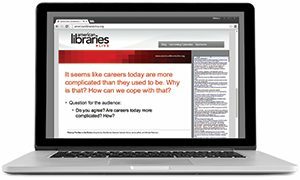 What’s your personal relationship with libraries? What kind of impact have they had on you? For me, libraries are the great equalizer. Everybody goes into the library, whether they’re powerful or not, whether they’re rich or not, and they realize, man, there is so much out there. We’re so little compared to all that there is in this time and place that we live. I like that dimension of libraries. 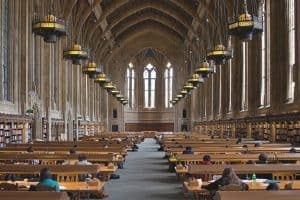 When I was a student, I had the Suzzallo Library at the University of Washington here in Seattle. I remember going in there on Saturdays when it was still dark in the morning and I wouldn’t leave until it was dark at night. I was just inspired by that library to do my studying and my learning there. To me it was like a big church. These days, I’m inspired by librarians and school teachers, and their commitment to connecting people with helpful information. You’ve remarked that you’ve spent one-third of your adult life living out of a suitcase. Is there still a place you haven’t seen that you would like to visit? It’s so funny—I’m not as well traveled as you’d think, because I dedicate most of my travel time to Europe. That’s my beat and that’s my responsibility, and I’m so thankful for that. I endlessly love going to Europe, making mistakes, taking careful notes, and designing that experience in the guidebooks or TV shows or tours so other people can travel better. But someday I’d really like to get out and get to know our country better. There’s much of the world I’d love to see.